A big Greek Salad has to be one of those salads that when I start craving it, there is just no way around making one. 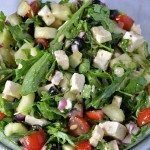 Luckily for me, Greek salads couldn’t be any easier to make and are quicker to make than they are to drive to a restaurant and order one, most times! Just yesterday, I couldn’t get the thought of a fresh, flavorful Greek salad out of my mind. I could almost taste it. I could hardly wait until my husband and Little Buddy got home from Scouts to make them. Full of cucumbers, tomatoes, big Kalmata olives, red onion, peppers, and of course – feta, this salad comes together really quickly. Especially since I like to keep the ingredients for it on hand so I can toss it together really quickly. You may also notice that this version has chicken on it as well. That’s totally optional, but I had chicken already cooked that I’d prepared in the slow cooker earlier in the week and decided at the last minute to toss it in as well. Now, I do have one thing to mention. I realize that in Greece, lettuce is not usually included in a Greek Salad. While I’ve never had the pleasure of visiting there myself, my husband spent weeks there while studying abroad in college. 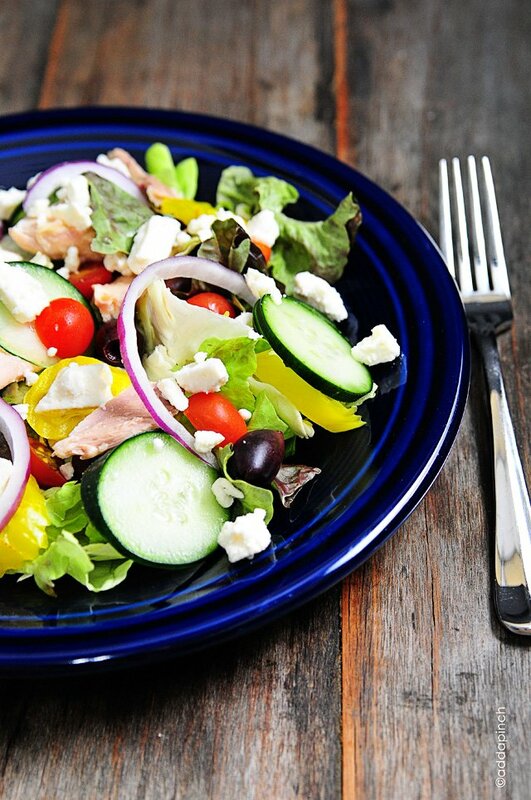 I think a traditional Greek Salad has to be one of the dishes that he comments on the most from his travels. That, and fresh pastries in France. 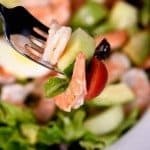 So, if you’d rather not include the lettuce, feel free to amp up the amount of cucumbers and tomatoes – along with other ingredients – in this salad in place of the lettuce. I like to use the lettuce as it seems to extend the salad even farther! 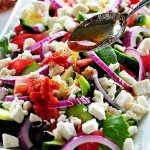 Here’s my Greek Salad recipe. I hope you love it as much as we do!!! 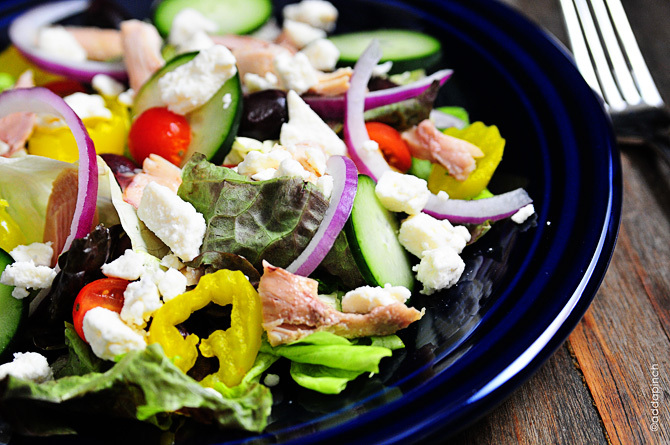 Greek Salad makes a refreshing, flavorful salad perfect for a quick lunch or a simple supper. 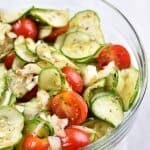 Assemble salad greens, tomatoes, onion, cucumber olive, peppers, in a large bowl. To make the dressing, simple add all dressing ingredients to a Mason jar, fit with the lid and shake vigorously until well-combined. Pour about half of dressing over salad and toss. Then, top with Feta cheese and serve with additional dressing on the side. Oh my everything looks so crisp and fresh!! YUM. Thanks Robyn. Simple and delicious. Have a wonderful day! I could eat a Greek salad every day!!!! This looks beautiful!! I do LOVE a Greek salad! Can’t wait to try your dressing! This looks so good! I love greek food! This is gorgeous, Robyn! I love these ingredients and flavors. 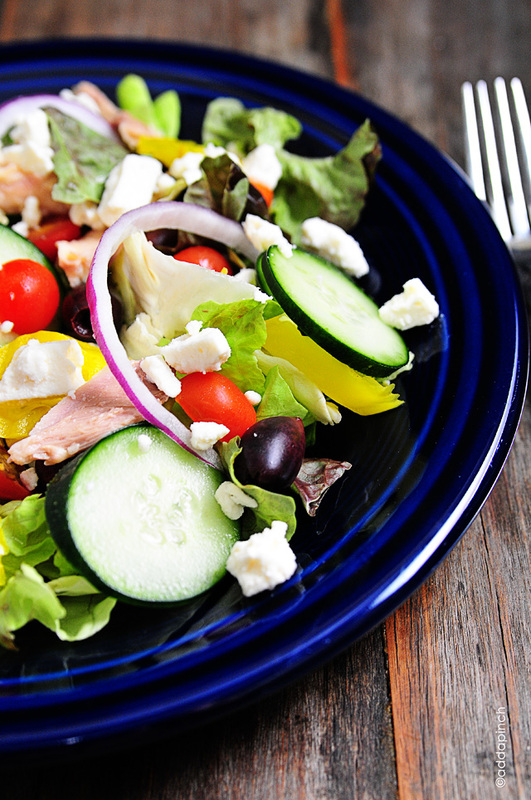 We love Greek salad around here. 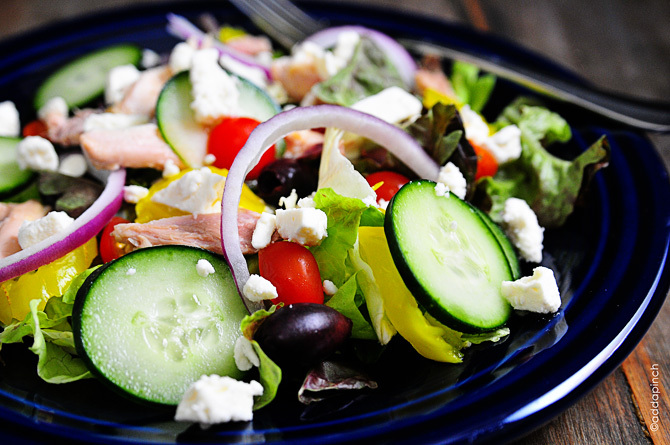 We love a good Greek salad too. This looks so delicious! Love this! So fresh and flavorful (and colorful)! Love the addition of chicken, too. 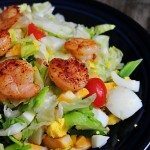 What a beautiful salad recipe!!! So fresh! I’m a huge fan of greek salads too. Beautiful! It looks SO colorful and delicious. Greek Salad is one of my go-to salads at restaurants. So beautiful! I could eat salad like this every-single- day! That salad is so bright and happy! Perfect for spring. I adore these photos! So vivid and yummy-looking!! I used to order Greek salad for takeout from our local Greek restaurant all the time when I first started working. I agree, it is so easy to make and you can select the ripest tomatoes (that is one part of the salad that never seemed quite ripe). Love the addition of chicken in your recipe. Just look at all those garden goodies! Sensational! 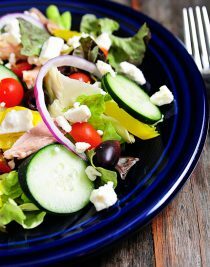 This looks so amazing 🙂 I truly love a great greek salad! love Greek salas – the Greek restaurants here in w. central FL tend to put a scoop of potato salad in the middle and it is oh so yummy. Sure wish I could find out how they make their potato salad. I am the SAME way! I have to have one once it’s on my mind. Same with ceasar salad. This was SOOOOOOOOO good! 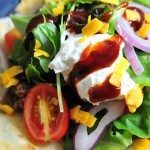 I love that the dressing was easy and I had everything I needed at home! So glad I chose to make this! Thanks for the great recipe!